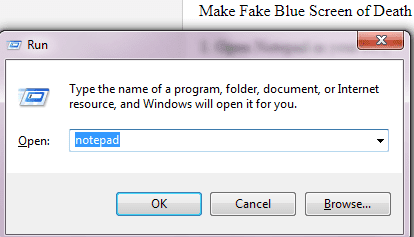 With this trick, you can easily make a Fake Blue Screen Of Death (BSOD) in your Windows 10 and Win 7 Pc. Family and Friends can be pranked into thinking their computer has crashed whereas it hasn't. According to Wikipedia, BSoD Blue screen of death is an error screen displayed on a Windows computer system after a fatal system error, also known as a system crash: when the operating system reaches a condition where it can no longer operate safely. This can be fixed by re-installing a fresh operating system or meeting a professional technician. This is how serious a BSoD is. 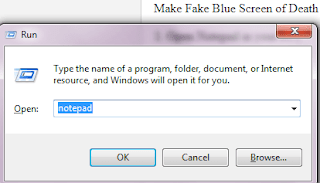 So imagine pranking your friends by creating a fake blue screen of death batch file on their pc and when opened, they get a legit and scary warning on their screen. 1. 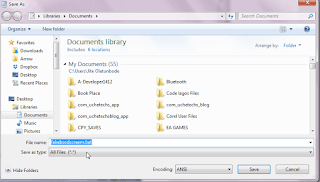 Open Notepad in your Pc (Win +R) > Type "notepad". 2. 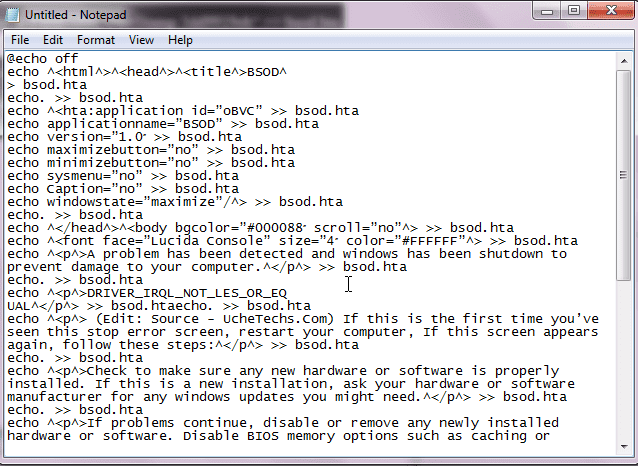 Hit Enter to successfully open notepad. 4. 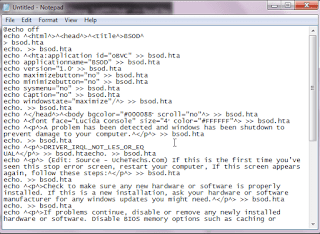 Now save as FakeBsod.bat with notepad. 5. 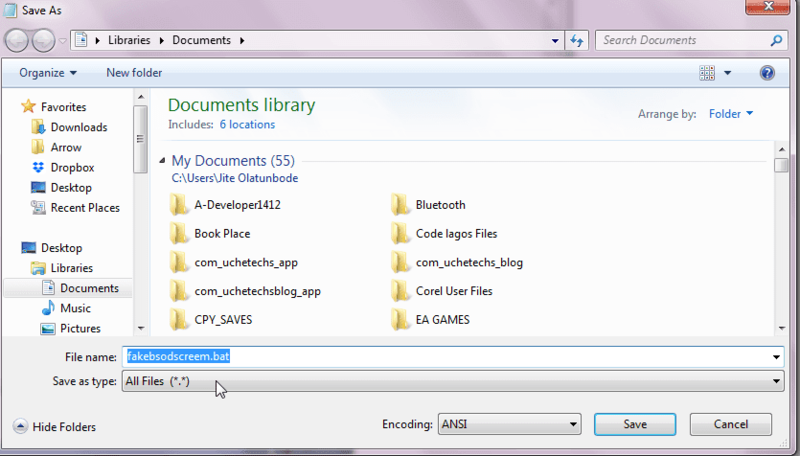 Locate the file and click it and see the result. This is how to create a custom Fake Blue screen of death (Fake BSOD) in Windows 10 to prank your friends. The Pc will not crash, nor is this code dangerious, if you want to stop the prank, just press Windows button and close Command Prompt. I hope you enjoyed this Pc trick, prank your friends and comment below if they fell for this.